There’s a new cup in Dobcross Youth Band’s prize cabinet – the Stanley and Ida Hirst Memorial Trophy. 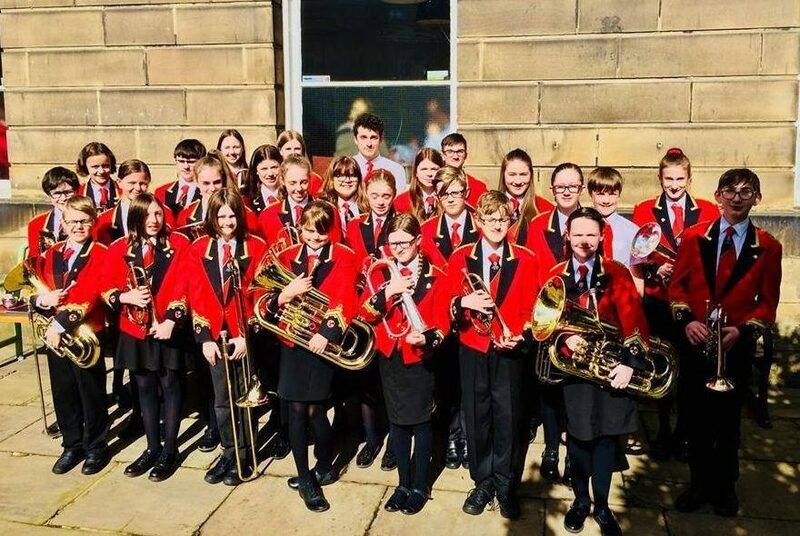 The young musicians took first place in the Youth and Training Band Section of the Holme Valley Brass Band Contest on 29 April after a fantastic performance. Their programme included the very popular Prismatic Light, the hymn Irish Blessing, a beautiful duet from Rachel Diamond and Ben Hill-Wilson on Rainforest and the youngsters’ favourite, Pirates of the Caribbean. This followed hot on the heels of a very creditable bronze certificate for their playing at the National Youth Brass Band Championships at the University of Warwick, when the average age of the players was just 12.